With an overall rating of "top class - very good", the W2324 RSPhaseShifter plug-in from MAAT was tested in professional audio issue 12/17. The software can be obtained from MAAT and Plugin-Boutique, where a free trial version is available. Studio outfitter Igl Schönwitz is organizing a high-profile workshop with loudspeakers from the manufacturers KS digital, PMC, Kii Audio and Valeur Audio. The digital CONEQ system (Real Sound Lab) and the analog COSINUS (roger schult german audio lab, Markus Bertram, mbakustik) are used for room correction. The representatives of the participating manufacturers (...) More information..
roger schult and the MAAT Inc. development team have meticulously extracted the W2324 phase shifter's DNA and released the MAAT RSPhaseShifter plug-in (...) Further information.. Among the product highlights in 2016, the W2324 phase shifter received Professional Audio's in-house Editors Choice Award 2016. 03.05. until 05.05. - presented by Guido Apke..
roger schult and the MAAT Inc. development team have meticulously extracted the DNA of the W2324 phase shifter hardware and created a unique digital model. The developers of MAAT Inc. consciously renounced classical modeling technology in order to exploit the full range of digital possibilities. Furthermore the digital version of the W2324 has been extended by some functions. 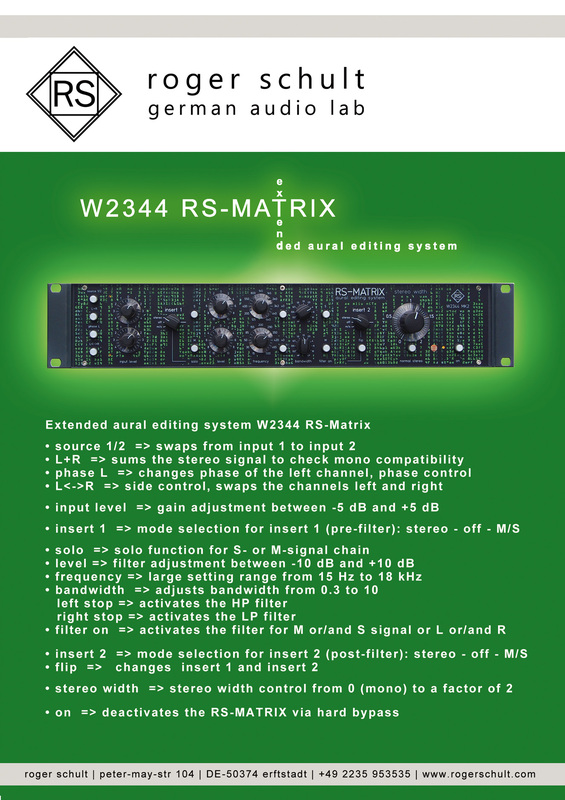 MAAT RSPhaseShifter W2324 plug-in awarded in "Professional Audio" issue 12/2017 (German audio magazine) "Top class - very good"
Editors Choice Award 2017 for W2344 RS-Matrix MK2, given by Professional Audio RS-Matrix awarded in "Professional Audio" issue 06/2017 (German audio magazine)	"Top class: very good - outstanding"
roger schult german audio lab and mbakustik developed this unique special filter system for frequency correction and bass management incl. phase shifting function. The COSINUS is a purely analogue filter system for room correction and bass management without the AD / DA conversion necessary for digital filters and it is developed and manufactured by Roger Schult according to the requirements of mbakustik in Germany. The W2324 is a high-precision tool to solve phase problems in sound recording and playback applications. The W2324 phase shifter is the ultimate tool to hone in and correct those phase problems with unheard-of accuracy and sound quality. 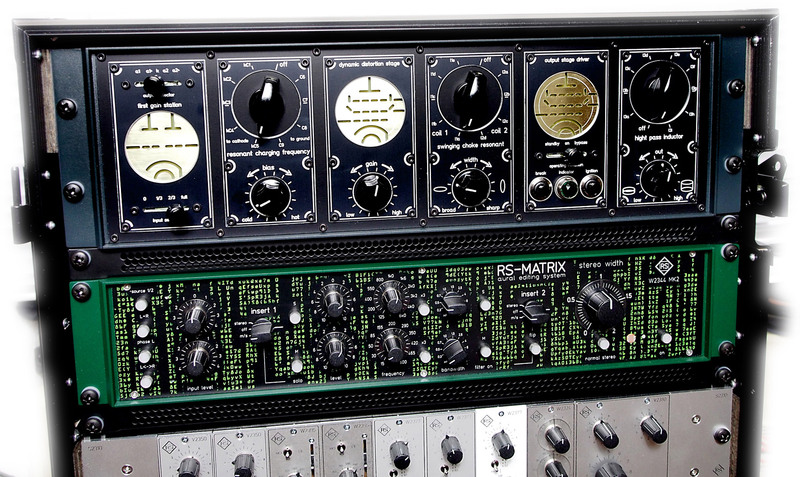 Alternatively, experienced engineers will appreciate the creative sound design possibilities offered by the module. Furthermore, the W2324 can be used in the subwoofer path of any playback system to optimize the low-frequency response and remedy room mode issues thanks to the continuously adjustable phase angle. 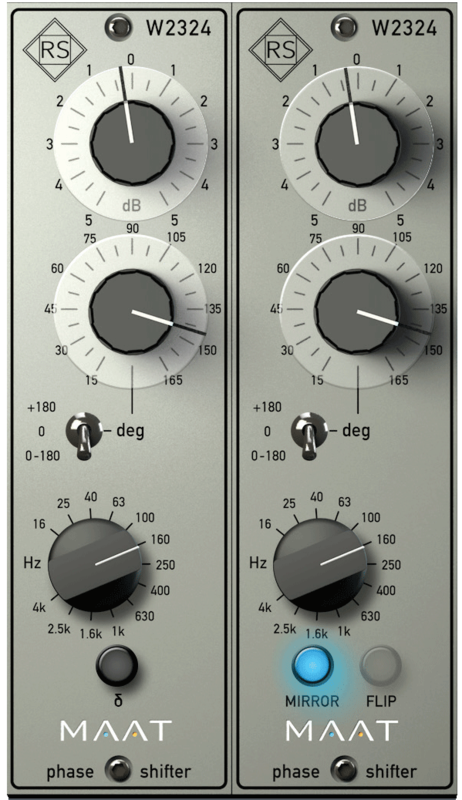 The W2395 Studio Tone Shaper is a highly flexible three-band equalizer that is well suited for a wide range of creative and corrective applications. The unique combination of the broad stroke Baxandall bands and the parametric filter capabilities provides an extraordinarily effective toolkit for handling any program material.